American Herald Tribune – Europe is in transition, a phrase we’ve heard repeatedly in recent years. The decline of the power of the traditional parties (conservative and social democrats) in United Europe and the increase of the votes of the parties and the nationalist and anti-Euro groups, and beyond that, confusion over European Union (EU) in confronting the current political and social phenomena, are all considered signs of the transition. Although some political parties and groups in Europe raise the issue of “independence from the United States in the international system” as a goal to revitalize United Europe, the EU’s tactics and tools have not been defined in pursuit of this objective. The political instability of the main European actors (especially the European Troika) has contributed to the formation of this equation. 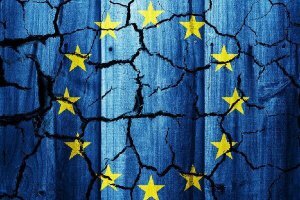 The EU, which at the beginning of its establishment, described itself as a “strong set” with “steady stability” in the international system, today, does not have the desired strategic and even tactical stability. Obviously, in such a situation, the EU has fallen apart as an “independent variable” in today’s world. Europe is dependent mainly on the United States for its insufficient knowledge and the weakness of domestic analysis of current developments, especially in the security spheres. The UK is stuck in a quagmire. An issue that, even if it does not eventually come to fruition, will leave London for years to focus on the fateful role of the European Union. The total developments in Europe, especially since 2007 (the time of European Financial Crisis), show that the green continent is on the verge of a kind of political and social transformation. Undoubtedly, in such a situation, the European Union’s behavioral, tactical and even strategic elements will face a number of challenges. Following the formation of a coalition government in Berlin and the defeat of the Christian Democrats in the two local elections in Bavaria and Hesse, Angela Merkel has announced that she will step down as German chancellor in 2021. Certainly, Merkel’s successor at the start of his career will have less maneuver in the European Union. In other European countries, nationalist trends also experience a balanced growth. What’s worrying the European authorities is the same and balanced growth. Perhaps if nationalist parties were to flex their muscles in one or two European countries, European leaders would have more power to control them.